This colorful shorebird is wading through the water looking for food. The bird is “Getting Feet Wet” as he skims along in the shallow water along the beach and incoming waves. Often called sandpiper birds these cute birds can be found running along the beach in the shallow water. 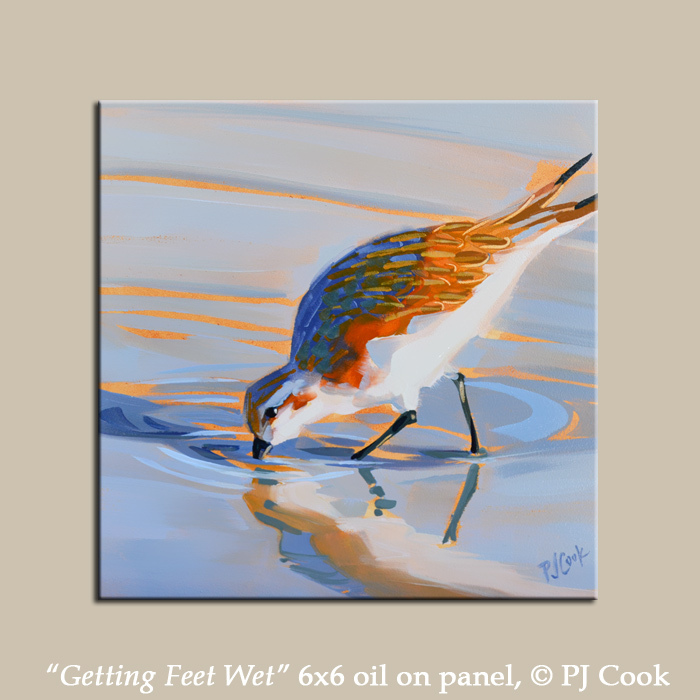 “Getting Feet Wet”” 6×6 oil on gessoboard, ©2015 PJ Cook.